2012 Venables Street, Vancouver V5L 2J2. 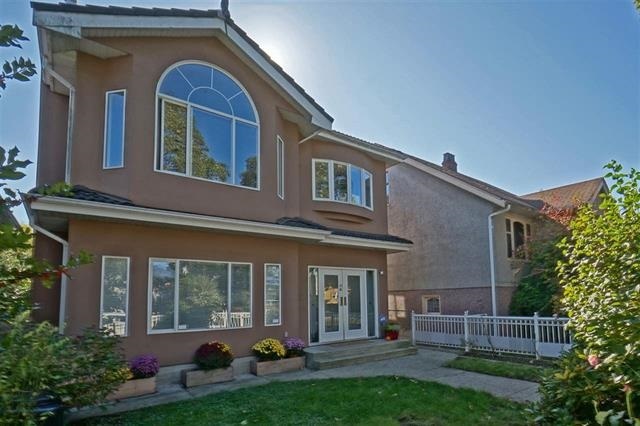 2012 Venables Street : desirable Grandview Area with 6 bedrooms, 4 baths with over 2400 sq/ft. Located just off the drive on a quiet tree-lined traffic calmed street. – Upper floor 3 bedrooms, 2 bath with 15ft vaulted ceilings, over 1300 sq. ft. with loads of natural light & skylights throughout with views of North Shore. – Main floor with 3 bedrooms, 1.5 bath, 10ft ceilings & over 1100 sq. ft. Many upgrades include City approved luxury hot tub, high efficiency boiler w/plug in for solar and/or geo thermal. Radiant heat, south facing covered deck with concrete shingle roof & 2 car garage/workshop.